Freestanding binder features a magnetic flap to help it remain standing and stack easily. Ideal for presentations, meeting handouts, sales proposals, and employee manuals. PVC-free, nonstick cover with clear overlay holds custom title sheets. Included color ID rings snap in and out of the built-in finger-pull on the spine so you can color-code your binder. Large spine label assures shelf visibility. EasyOpen Slant-D rings open, close and lock with one touch, earning the "Ease-of-use" Commendation from the Arthritis Foundation. 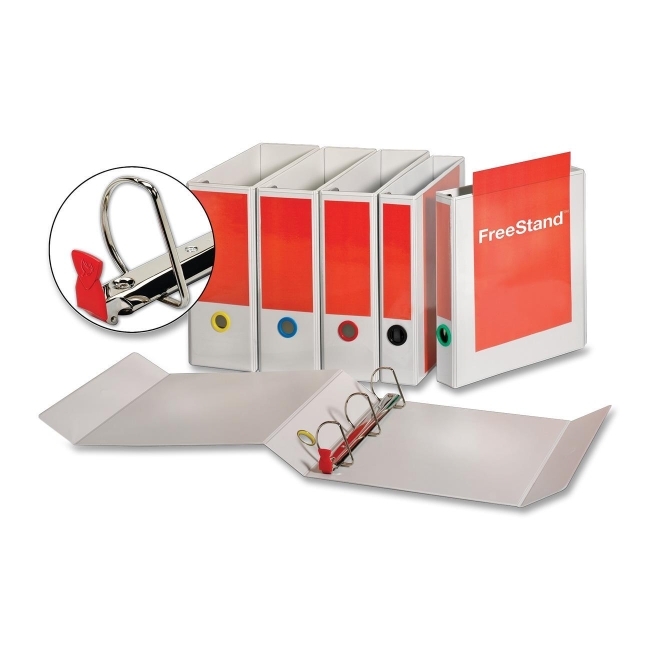 Slant-D ring binders hold 25 percent more than standard round-ring binders.